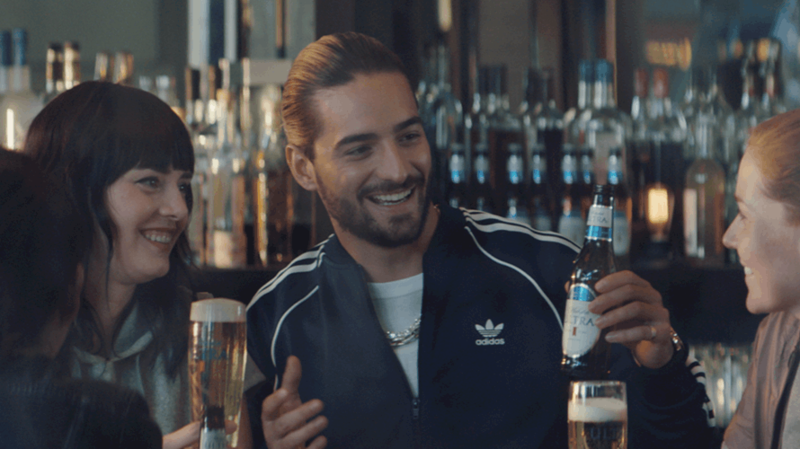 Maluma makes a cameo in Michelob Ultra's 30-second Super Bowl spot. Michelob Ultra unveiled the first of its two Super Bowl spots for this year. The 30-second ad from FCB Chicago uses robots as a metaphor for those who are so focused on their fitness journey that they don’t stop to enjoy it—or a beer. Michelob Ultra will have another spot in the Big Game, though that one will pitch its organic brew, Michelob Ultra: Pure Gold. Anheuser-Busch has not revealed when its brands’ ads will air during the Super Bowl. The spot also kicks off a yearlong partnership with Latin music star Maluma, who makes a cameo in the ad. “He may not be as familiar to U.S. audiences yet, but he’s a huge star,” Andrews said. “I’m so proud to represent my Latin culture during my first-ever Super Bowl commercial and also show people why it’s so important to keep it real, from life’s experiences to the ingredients in your beer,” Maluma said in a statement.